You forgot to take your electrolyte tablets, lad. 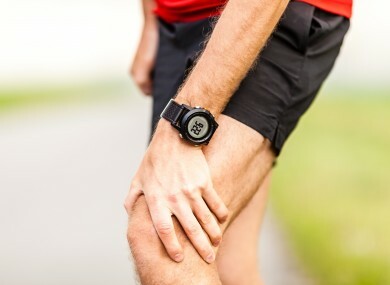 CRAMPING IS THE body’s way of letting you know you are low in chemicals in the body known as electrolytes. Essentially, your tank is empty and it cannot continue; it’s like a car running out of gas. Cramps can occur almost anywhere in the body, depending on what activity you’re doing but it needn’t be that way. Even you’ve never experienced cramping, electrolytes need to be replenished after sessions longer than an hour to facilitate optimal recovery. Electrolytes are chemicals found in the body and they are necessary for your digestive, cardiac, muscular and nervous systems to function well. 2. How many are there and what are they called? There are five main electrolytes and they are; sodium, chloride, potassium, magnesium and calcium. Electrolytes are lost through sweating and urinating and these are more common for athletes and sportspeople. 4. How will you know if you’ve depleted your electrolytes? If your electrolytes are reduced, you could potentially compromise a performance because of muscle fatigue or cramping. Along with the more frequent muscle cramps in the legs, stomach cramps or side stitches can also be the result of an electrolyte imbalance. Other electrolyte imbalance symptoms are: muscle spasms, dizziness, fatigue, nausea, constipation, dark urine, decreased urine output, dry mouth and foul breath, dry skin, muscle weakness or stiff and achy joints. If the weather is very hot and perspiration rates are very high, you’re going to lose a lot of fluid and even more electrolytes. 5. So what should I do to prevent this happening? You could down a bottle of Powerade and that is the drink of choice for many sportspeople but these are all loaded with sugar. A better option is specially formulated electrolyte tablets that contain all of the above named electrolytes. They are a better option because some of them contain zero calories. They’re also quite cheap, comparative to a sports drink. Email “Why you need to take electrolyte tablets to prevent the onset of cramps”. Feedback on “Why you need to take electrolyte tablets to prevent the onset of cramps”.